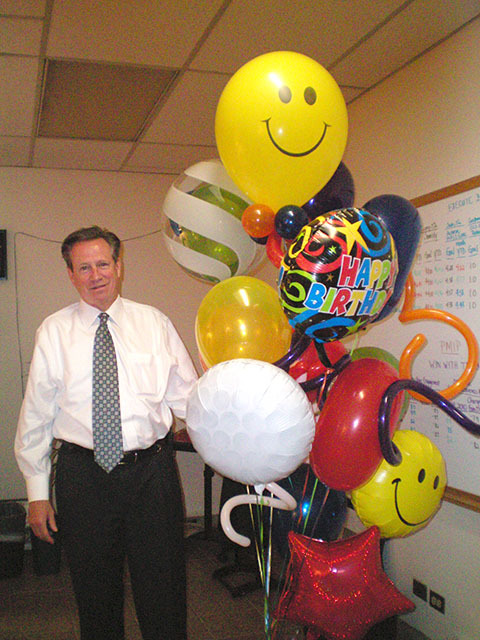 Whether it’s a birthday, anniversary or any other special event, make sure to send someone a special balloon bouquet. We deliver anywhere in the Denver metro and front range area. 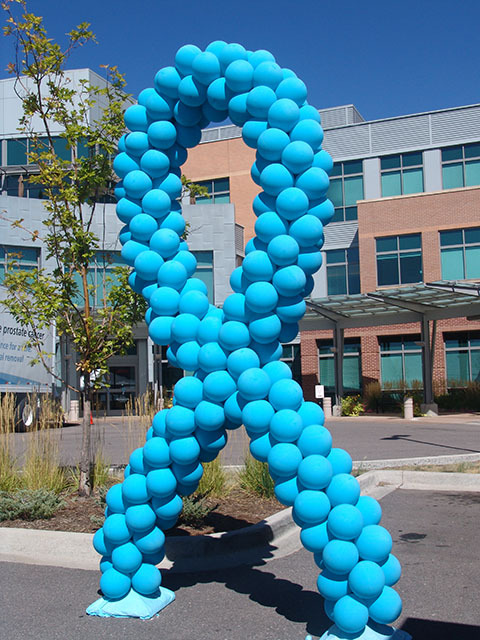 Here in Denver we have many ‘walks’ and ‘runs’ to raise money for cancer research. 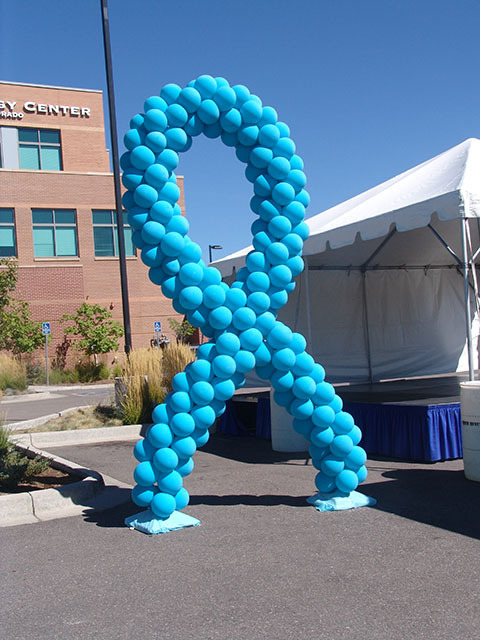 Here is a large balloon ribbon sculpture from a recent event. 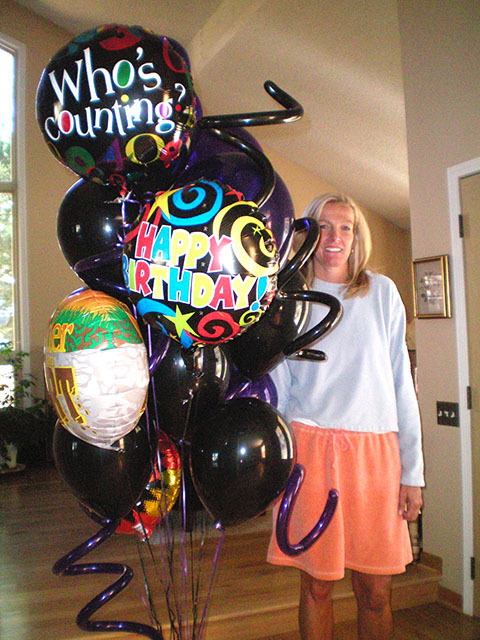 We can draw attention to your event with a variety of large balloon sculptures.